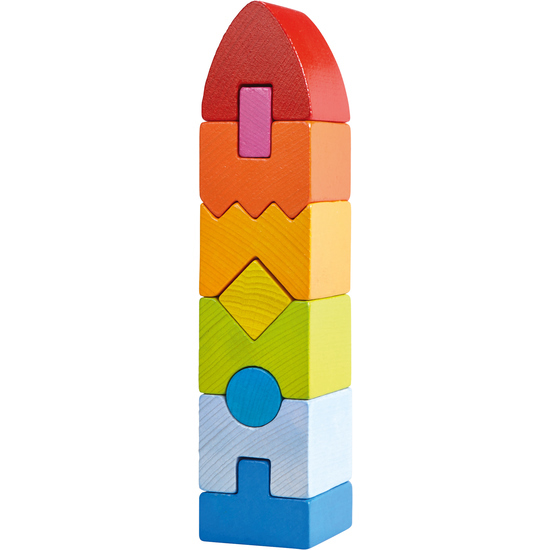 Geometric Tower is true to its name, soaring up in all colors of the rainbow. When all 9 wooden shapes are stacked properly, the Geometric Tower stands in all its glory. While your child is passionately erecting this tower, her or his fine motor skills and awareness of geometric forms are being subtly advanced. Once the Geometric Tower stands, it’s thrilling to knock it down, and begin again!